22 Michaels: Welcome to Shoes of Prey Andy! It's with great pleasure I introduce the latest member of our China team! 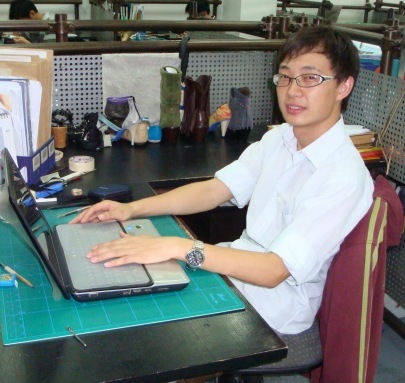 Andy comes from Nanchong, Sichuan province and will be joining us as an expert shoe master. He will be working very closely with James, who coincidently comes from the same province. Andy did his degree at BaiYun College, Guangzhou majoring in leather design and technology. He also has significant experience working for large Chinese footwear companies ST&SAT and Belle. Away from work Andy enjoys basketball and movies. We're really excited for Andy to bring his experience to the ever growing Shoes of Prey team!